When people are charged with their first DUIs in Colorado, they can turn to our Broomfield and Boulder DUI defense attorneys for the strongest possible defense and the best possible outcomes to their cases. DUI charges do not have to end with convictions. First DUIs can be easier and more important to defend than subsequent DUIs, as the accused won’t have a criminal record of drunk driving convictions (and mounting a strong defense against these charges can be critical to reducing the chances of conviction and a criminal record). The Broomfield and Boulder DUI defense attorneys at Peter Loyd Weber & Associates will be ready to help the accused build the strongest possible defense so they can bring their cases to successful resolutions. At Peter Loyd Weber & Associates, we understand how damaging DUI convictions can be, and our Broomfield and Boulder DUI defense lawyers have extensive experience successfully resolving cases associated with people’s first DUIs in Colorado. DWAI charges are generally for cases in which a person’s blood alcohol content (BAC) was 0.05 percent at the time of arrest. DUI charges are typically for cases in which people have BACs of 0.08 percent or greater. The penalties for first DUIs in Colorado have been getting increasingly severe in recent years, and people accused of drunk driving should be aware that they could face criminal, as well as administrative, penalties if they are ultimately convicted of these charges. Additional court-ordered requirements – In some cases, people may also be ordered by the court to complete an alcohol treatment program, have an ignition interlock device installed on their vehicle(s), be under probation for a certain period of time, etc. 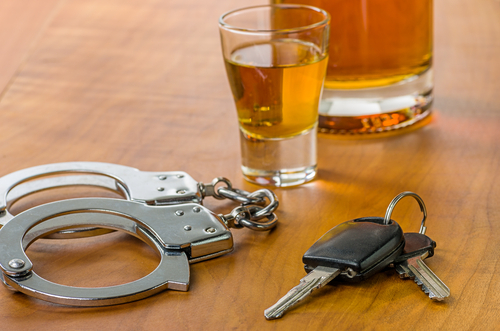 The penalties explained above may not be the only penalties for first DUIs, as convicted people may also have to deal with other impacts that have not specifically be court ordered. For instance, people convicted of first DUIs in Colorado may also end up losing their jobs, having their professional reputations damaged, paying extremely high auto insurance rates for years to come, etc. There can be various, viable defense arguments for first DUIs in Colorado, and having an experienced defense attorney on your side will be essential to favorably resolving these charges and cases. To talk about your best options for your DUI defense and how we can help you, call us today at (720) 863-7755 or email us using the contact form on this page. We offer complimentary consultations, and we take pride in always being available to our clients – 24 hours per day, 7 days per week – so that they have the personal attention their case deserves.